Overview of the locality - "spring atmosphere"
Overview of the locality - "summer atmosphere"
Tl-rich hydrothermal stratiform deposit in Triassic dolomitic limestones. Located in the Écrins National Park ('Parc national des Écrins'). Mineral collecting is not allowed. 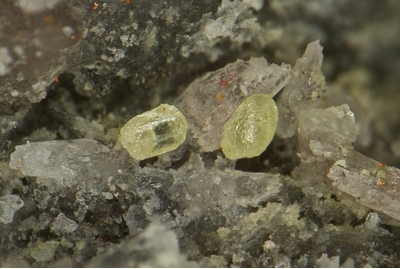 Additional gangue minerals include albite, apatite, chlorite, fluorite, graphite, microcline, orthoclase, rutile, sericite, tourmaline and zircon. Most of them are described in Mantienne's Ph.D. work (1974). Note on locality name: The name of the nearest village is spelled "La Chapelle en Valgaudemar" by the authorities of the local municipality. 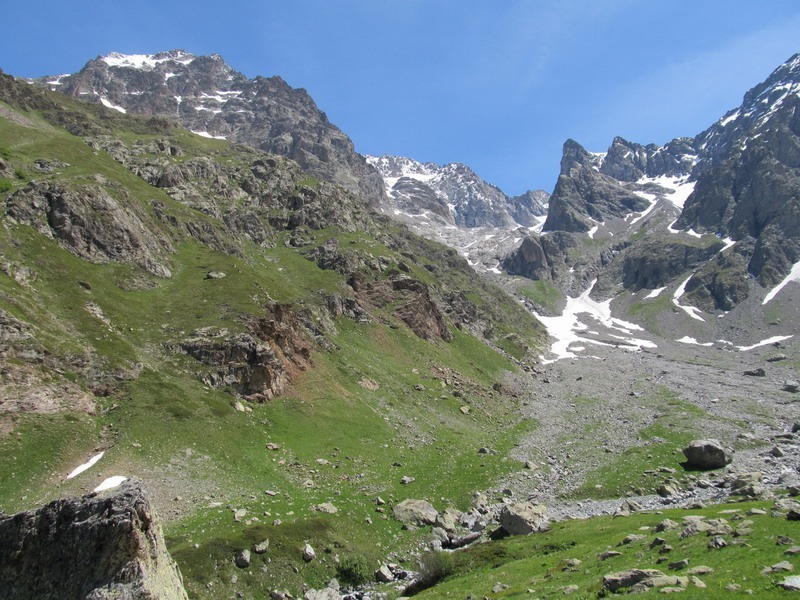 An alternate spelling with "Valgaudémar" can also be found in various sources, although it does not match the valley name: Valgaudemar (spelled Valgodemard in the names of the two villages Saint-Maurice-en-Valgodemard and Saint-Jacques-en-Valgodemard). 50 valid minerals. 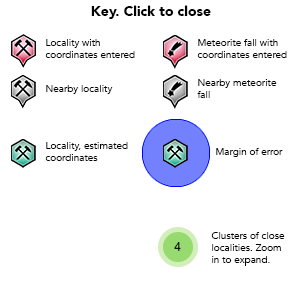 6 (TL) - type locality of valid minerals. 3 erroneous literature entries. 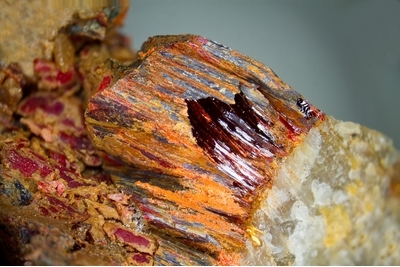 Reference: Anthony, Bideaux, Bladh, Nichols: "Handbook of Mineralogy", Vol. 1, 1990; Johan, Z. & Mantienne, J. (2000): Thallium-rich mineralization at Jas Roux, Hautes-Alpes, France: a complex epithermal, sediment-hosted, ore-forming system. J. Czech Geol. Soc. 45, 63-77. Reference: Johan, Z. & Mantienne, J. (2000): Thallium-rich mineralization at Jas Roux, Hautes-Alpes, France: a complex epithermal, sediment-hosted, ore-forming system. J. Czech Geol. Soc. 45, 63-77. 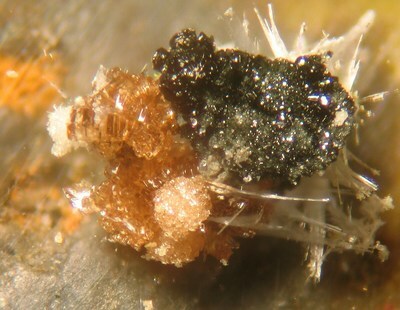 Reference: Bourgoin, V., Favreau, G., Boulliard, J.-C. (2011): Jas Roux: un gisement exceptionnel à minéraux de thallium. Le Cahier des Micromonteurs, 3-2011, 2-91. 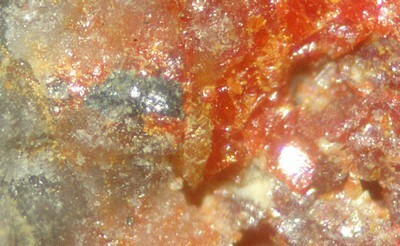 Description: Andorite IV was erroneously reported in the locality. 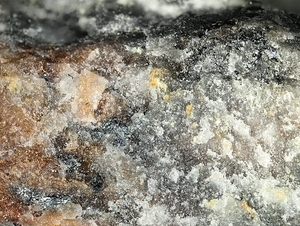 According to Y. Moëlo, the analyses and physical properties show that the andorite at Jas Roux is closer to andorite-VI. 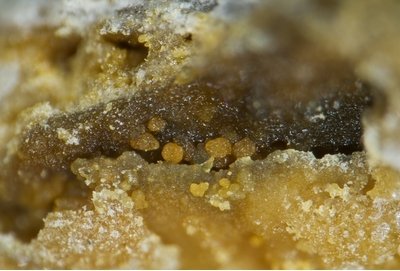 Reference: Topa, D., Makovicky, E., Favreau, G., Bourgoin, V., Boulliard, J.C., Zagler, G. and Putz, H. (2013) Jasrouxite, a new Pb–Ag–As–Sb member of the lillianite homologous series from Jas Roux, Hautes-Alpes, France. Eur. J. 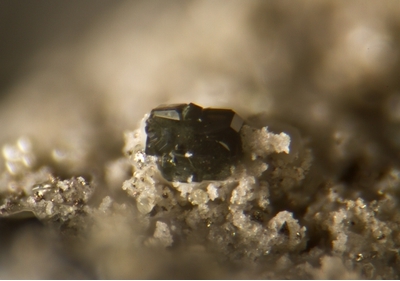 Mineral., 25, 1031–1038. Reference: Mem. Bur. Rech. Geol. Minière,(1977) 90, 1, 115; Bull.Minéral. (1981) 104, 10-15; Johan, Z. & Mantienne, J. (2000): Thallium-rich mineralization at Jas Roux, Hautes-Alpes, France: a complex epithermal, sediment-hosted, ore-forming system. J. Czech Geol. Soc. 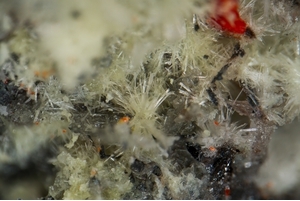 45, 63-77; Biagioni, C., Moëlo, Y., Favreau, G., Bourgoin, V., Boulliard, J.-C. (2015): Crystal structure of Pb-rich chabournéite from Jas Roux, France. 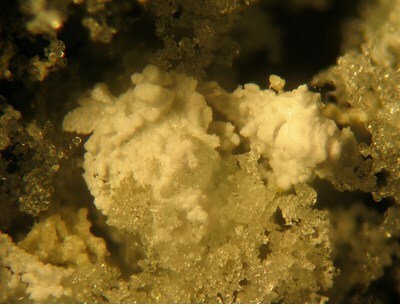 Acta Crystallographica, B71, 81-88. 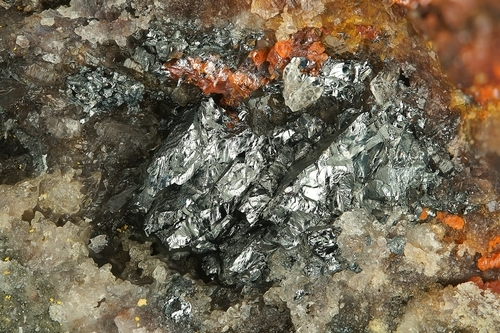 Reference: Bourgoin, V., Favreau, G., Boulliard, J.-C. (2011): Jas Roux (Hautes-Alpes): un gisement exceptionnel à minéraux de thallium. Le Cahier des Micromonteurs, no. 113, 2-92. Reference: American Mineralogist, Volume 68, pages 235-244, 1983; Johan, Z. & Mantienne, J. (2000): Thallium-rich mineralization at Jas Roux, Hautes-Alpes, France: a complex epithermal, sediment-hosted, ore-forming system. J. Czech Geol. Soc. 45, 63-77. Reference: Topa, D., Kolitsch, U., Makovicky, E., Favreau, G., Stanley, C., Bourgoin, V., and Boulliard, J.-C., 2016. 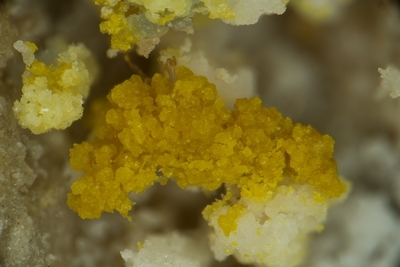 Écrinsite, IMA2015-099. CNMNC Newsletter No. 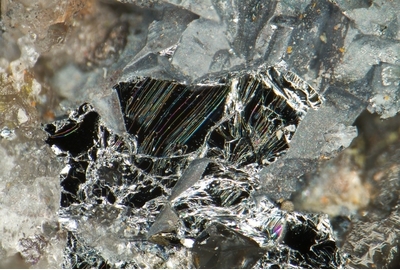 29, February 2016, 204; Mineralogical Magazine 80, 199–205; Topa, D., Kolitsch, U., Makovicky, E., Stanley, C. (2017): Écrinsite, AgTl3Pb4As11Sb9S36, a new thallium-rich homeotype of baumhauerite from the Jas Roux sulphosalt deposit, Parc national des Écrins, Hautes-Alpes, France. European Journal of Mineralogy 29, 689-700. 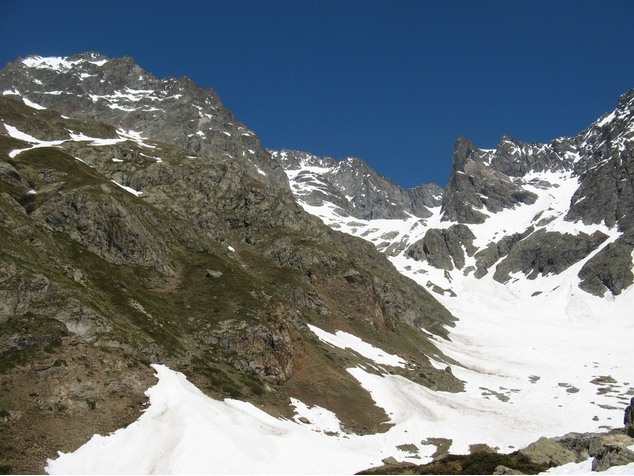 Reference: "La minéralisation thallifère de Jas Roux (Hautes Alpes)" J. Mantienne, Doctorate Thesis, 1974; Johan, Z. & Mantienne, J. (2000): Thallium-rich mineralization at Jas Roux, Hautes-Alpes, France: a complex epithermal, sediment-hosted, ore-forming system. J. Czech Geol. Soc. 45, 63-77. 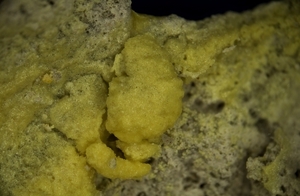 Description: Guettardite is part of the discussion of Mantienne (1974), but was not found at Jas Roux (confirmed by Y. Moëlo) until when it was detected in samples containing écrinsite (Topa et al., 2017). 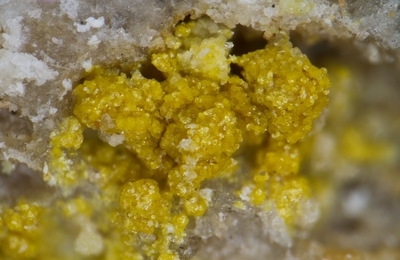 Reference: Canadian Mineralogist 18:13; Topa, D., Kolitsch, U., Makovicky, E., Stanley, C. (2017): Écrinsite, AgTl3Pb4As11Sb9S36, a new thallium-rich homeotype of baumhauerite from the Jas Roux sulphosalt deposit, Parc national des Écrins, Hautes-Alpes, France. European Journal of Mineralogy 29, 689-700. Reference: Topa, D., Makovicky, E., Favreau, G., Bourgoin, V., Boulliard, J.-C., Zagler, G. and Putz, H. (2013) Jasrouxite, IMA 2012-058. CNMNC Newsletter No. 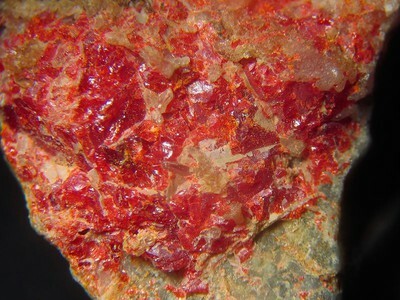 15, February 2013, page 5; Mineralogical Magazine, 77, 1-12. Description: Reported in Pierrot, R., Picot, P., Poulain, P.A. (1972): Inventaire Minéralogique de la France : Hautes-Alpes. Editions du BRGM, 184 pp. without description, never confirmed later on. Reference: Johan, Z. & Mantienne, J. (2000): Thallium-rich mineralization at Jas Roux, Hautes-Alpes, France: a complex epithermal, sediment-hosted, ore-forming system. J. Czech Geol. Soc. 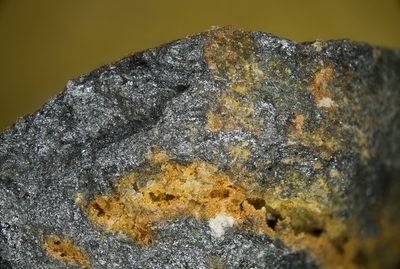 45, 63-77; Bourgoin, V., Favreau, G., Boulliard, J.-C. (2011): Jas Roux (Hautes-Alpes): un gisement exceptionnel à minéraux de thallium. Le Cahier des Micromonteurs, no. 113, 2-92. Reference: Bull.Soc.fr.Min.Crist. (1974) 97, 48-53; Johan, Z. & Mantienne, J. (2000): Thallium-rich mineralization at Jas Roux, Hautes-Alpes, France: a complex epithermal, sediment-hosted, ore-forming system. J. Czech Geol. Soc. 45, 63-77. 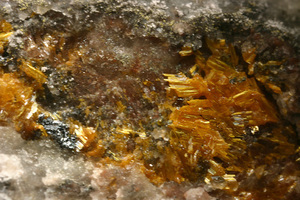 Description: According to J. Mantienne, who first mentioned the mineral, orpiment was never analyzed. Reference: Mantienne, J (1974): La minéralisation thallifère de Jas Roux. PhD thesis, Université de Paris, 203 p.; Johan, Z. & Mantienne, J. (2000): Thallium-rich mineralization at Jas Roux, Hautes-Alpes, France: a complex epithermal, sediment-hosted, ore-forming system. J. Czech Geol. Soc. 45, 63-77. Reference: Pierrot, R., Picot, P., Poulain, P.A. (1972): Inventaire Minéralogique de la France : Hautes-Alpes. Editions du BRGM, 184 pp. ; "La minéralisation thallifère de Jas Roux (Hautes Alpes)" J. Mantienne, Doctorate Thesis, 1974; Johan, Z. & Mantienne, J. 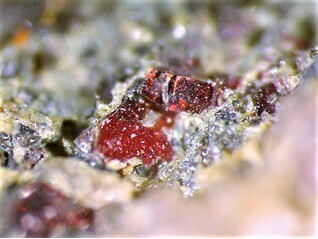 (2000): Thallium-rich mineralization at Jas Roux, Hautes-Alpes, France: a complex epithermal, sediment-hosted, ore-forming system. J. Czech Geol. Soc. 45, 63-77. Reference: Bull.Soc.fr.Min.Crist. (1970) 93, 66-71; American Mineralogist, Volume 68, pages 235-244, 1983; Johan, Z. & Mantienne, J. (2000): Thallium-rich mineralization at Jas Roux, Hautes-Alpes, France: a complex epithermal, sediment-hosted, ore-forming system. J. Czech Geol. Soc. 45, 63-77. Reference: Bull.Soc.fr.Min.Crist. 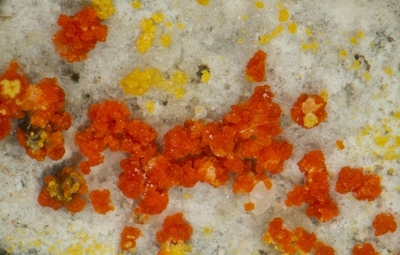 (1974) 97, 48-53; American Mineralogist, Volume 68, pages 235-244, 1983; Johan, Z. & Mantienne, J. (2000): Thallium-rich mineralization at Jas Roux, Hautes-Alpes, France: a complex epithermal, sediment-hosted, ore-forming system. J. Czech Geol. Soc. 45, 63-77. 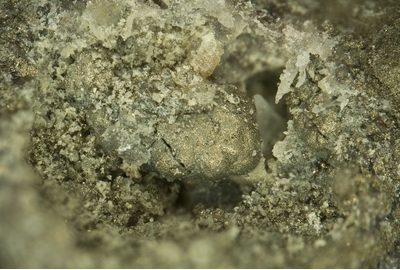 Description: Specimens in the Ecole des Mines collection turned out to be misidentified (Bourgoin et al., 2011). 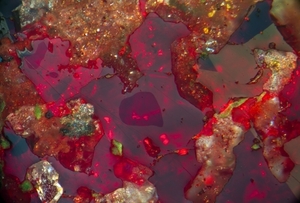 Reference: Dan Topa and Emil Makovicky (2012): Twinnite, Pb0.8Tl0.1Sb1.3As0.8S4, the OD character and the question of its polytypism. 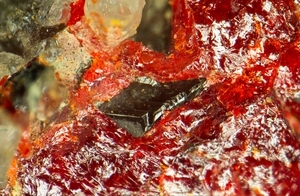 Zeitschrift für Kristallographie - Crystalline Materials 227, 468-475. ; Johan, Z. & Mantienne, J. (2000): Thallium-rich mineralization at Jas Roux, Hautes-Alpes, France: a complex epithermal, sediment-hosted, ore-forming system. J. Czech Geol. Soc. 45, 63-77. Reference: Am Min 90:1108-1114; Johan, Z. & Mantienne, J. (2000): Thallium-rich mineralization at Jas Roux, Hautes-Alpes, France: a complex epithermal, sediment-hosted, ore-forming system. J. Czech Geol. Soc. 45, 63-77. Description: As-bearing (Topa et al., 2017). Reference: Mantienne (1974); Johan, Z. & Mantienne, J. 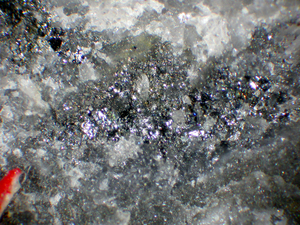 (2000): Thallium-rich mineralization at Jas Roux, Hautes-Alpes, France: a complex epithermal, sediment-hosted, ore-forming system. J. Czech Geol. Soc. 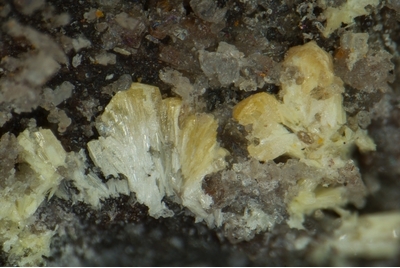 45, 63-77; Topa, D., Kolitsch, U., Makovicky, E., Stanley, C. (2017): Écrinsite, AgTl3Pb4As11Sb9S36, a new thallium-rich homeotype of baumhauerite from the Jas Roux sulphosalt deposit, Parc national des Écrins, Hautes-Alpes, France. European Journal of Mineralogy 29, 689-700. Pierrot, R., Picot, P., and Poulain, P.A. (1972) Inventaire Minéralogique de la France, N° 5: Hautes-Alpes. Editions du BRGM, 184 pp. Mantienne, J. (1974) La minéralisation thallifère de Jas Roux. Ph.D. thesis, Université de Paris, 203 pp. Asselborn, E. (1982) Jas Roux: Seltene Sulfosalze aus den französischen Alpen. Lapis, 7(1), 29-30 (in German). Johan, Z. and Mantienne, J. (2000) Thallium-rich mineralization at Jas Roux, Hautes-Alpes, France: a complex epithermal, sediment-hosted, ore-forming system. Journal of the Czech Geological Society, 45, 63-77. Caubel, A. and Galvier, J. (2000) Le Thallium, ses minéraux, son utilisation. Le Règne Minéral, 32, 31-43. 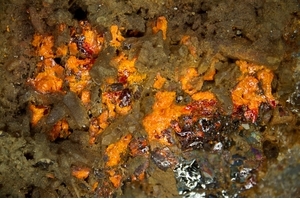 Boulliard, J.C., Morin, G., Bourgoin, V., and Favreau, G. (2010) Minerals of Jas-Roux (France): an update. 20th General Meeting of the IMA (IMA2010), Budapest, Hungary, August 21-27, CD of Abstracts, p. 422. 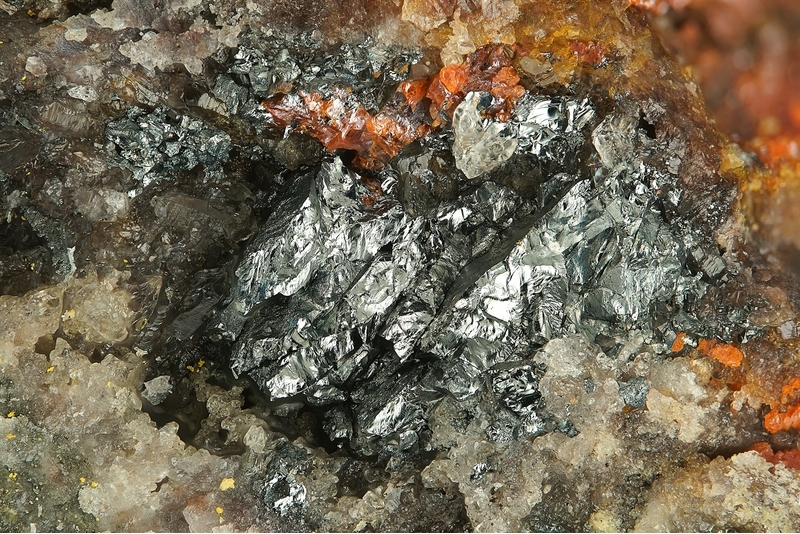 Bourgoin, V., Favreau, G., and Boulliard, J.-C. (2011) Jas Roux (Hautes-Alpes): un gisement exceptionnel à minéraux de thallium. Le Cahier des Micromonteurs, 113, 2-92. 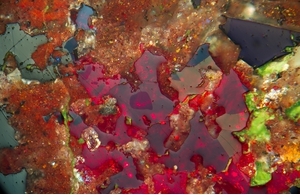 Biagioni, C., Moëlo, Y., Favreau, G., Bourgoin, V., and Boulliard, J.-C. (2015) Crystal structure of Pb-rich chabournéite from Jas Roux, France. 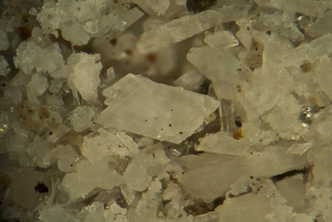 Acta Crystallographica, B71, 81-88.